If sport was simple to analyse and predict, then this Sunday’s crunch All-Ireland semi-final between Connacht Champions Mayo and Ulster powerhouses Tyrone would be a non-event. Mayo enter this game having scored thirteen goals in four Championship outings, winning each game by a margin of more than ten points; not to mention off the back of demolishing reigning All-Ireland champions Donegal by a staggering scoreline of 4-17 to 1-10 in this year’s quarter final tie. Tyrone, on the other hand, have taken a rather difficult route into this year’s penultimate Championship clash while inevitably courting controversy for their roughhouse tactics. Having disappointingly gone out in the Ulster semi-final, Tyrone recorded narrow away victories over Roscommon and Kildare in the qualifiers to set up an interesting tie with Meath at Headquarters which they won by the narrowest of margins after Meath missed two late goa chances. Despite the unconvincing nature of their victories, Tyrone found themselves in an All Ireland Quarter Final with Ulster Champions Monaghan. With the help of some clinical finishing and most notably cynical fouls, particularly Sean Cavanagh’s rugby-like tackle on Conor McManus when the Monaghan man was clean through on goal, Tyrone emerged victorious by 0-14 to 0-12. With such a contrast between how each team reached this semi-final, Mayo rightly find themselves strong favourites to reach their second All-Ireland Final in succession. 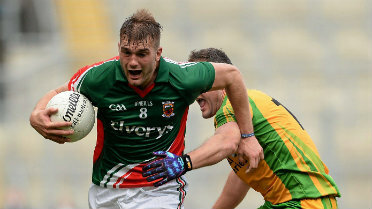 Dominant midfield performances from All Star to-be Aidan O’Shea as well as brother Seamus have seen Mayo gain a stranglehold over opposing back lines with waves of overlapping runs from half-backs not allowing the opposition to grab a foothold in the game. However, Mayo will find themselves coming up against a side who for the whole of their own Championship campaign have based their gameplan around not allowing the opposition to get into any sort of rhythm, be that by repeated fouling or otherwise. When one looks beyond the criticism of Tyrone’s style of play, an interesting factor begins to come into the reckoning. For the first time in this Championship, the O’Shea brothers of Mayo will find themselves up against a man who will look to dominate and dictate the game on his own. 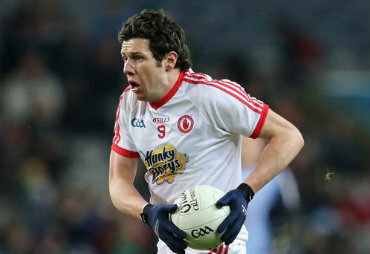 In the form of Sean Cavanagh (below), Tyrone have perhaps the finest midfield player of the last decade, and more importantly, a man whose performances are still as good as ever. The four-time All Star winner will present the O’Shea’s with their toughest challenge yet, arguably their only challenge. There is no doubting the Tyrone man’s ability to dominate the middle with surging runs and scores from long range and should Cavanagh produce close to best, his supporting cast are more than capable of hurting a so far untested Mayo back line. Martin Penrose and the veteran Stephen O’Neill are clinical finishers when given the chance and the tireless endeavor of the Donnelly brothers provide support and quality to a forward line that also includes the industrious Joe McMahon. Such is the forward line’s quality, Mayo’s rampaging half-backs may have to think twice before their excursions forward and this could disrupt the Connacht Champions’ momentum going forward. A collective will to win and an ability to play the game at their own dictated pace has been the deciding factor for Mickey Harte’s Tyrone so far this year and a repeat of this intensity on Sunday is a must if the Red Hand County are to return to Croke Park in September. With a sort of siege mentality created amongst the camp over recent allegations of “cheating” their way to a semi-final, Tyrone will be eager to set the record straight. 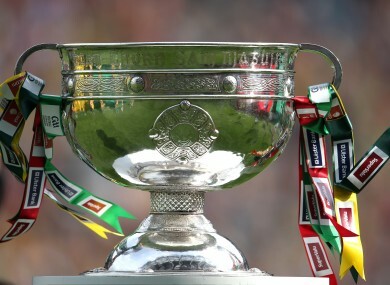 Standing in their way though, is a Mayo team full of confidence and desire to end a 52 year wait since their last All Ireland title, a wait that has seen them lose six All Ireland Finals, most recently last year against Donegal whilst gaining a reputation for buckling under pressure on the grandest stage. However, this is a different Mayo team. While admittedly their Connacht opposition was nothing more than sub-standard, this very point was made prior to their quarter-final battle with Donegal in what was supposed to be Mayo’s first “real test”. Mayo won the match by sixteen points. This without ever moving out of second gear. The sheer dominance of Aidan O’Shea (above) in midfield has been one of the sights of the summer and his tireless work-rate and ability to go past players is the fulcrum for manager James Horan’s philosophy of wave after wave of relentless pressure. What is also different this time around for Mayo is, at long last, the presence of quality, free scoring forwards. Cillian O’Connor has scored 6-13 in his three Championship outings so far, a truly outstanding return, and the return to fitness of the excellent Andy Moran after his knee ligament injury has given the county major belief that the long wait for a title is over. Sunday’s encounter will come down to whoever asserts themselves in the middle of the field. Whatever the outcome of that particular duel, it is almost guaranteed that Tyrone’s sheer hunger will make this Mayo’s most testing contest to date. For once, the Connacht Champions might have to learn to win ugly and learn quickly or else Sean Cavanagh and co will make their agonising wait for an All Ireland title go on.